How long until your Ultra Marathon? A few weeks? A month? Several months? 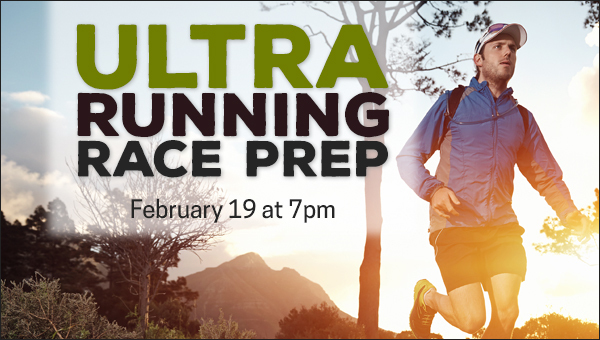 Join us for an Ultra Marathon Race Prep seminar and be sure you're totally ready to toe the line at your race. Hosted by 5-time Western States 100-Mile Endurance Run finisher and Fleet Feet Sacramento Trail Coach, Maureen (Mo) Bartley, this seminar will cover the ins and outs of race day, what to expect, what to prepare for, what to do when the unexpected happens and everything in between. RSVP and we will save you a seat. ﻿Thursday, February 19 at 7 p.m.